Italian language newspaper published in New Jersey, USA. 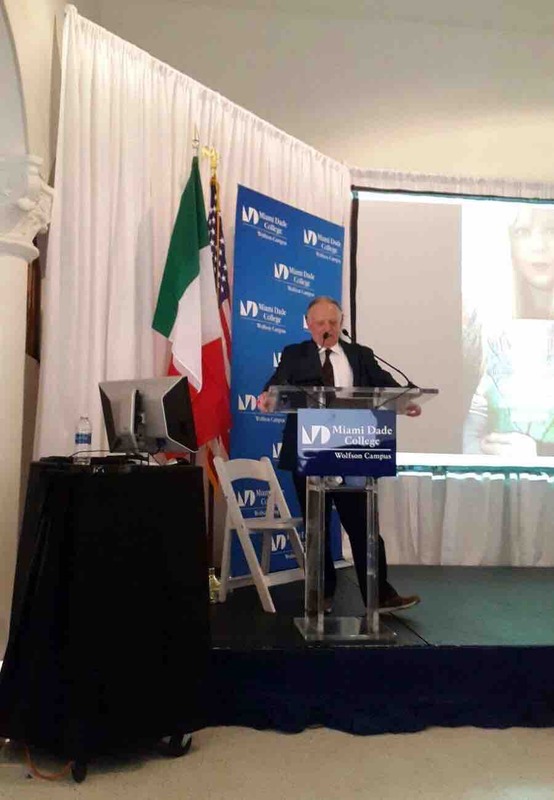 Medical Scientific Italian Event in Miami last March 23rd. 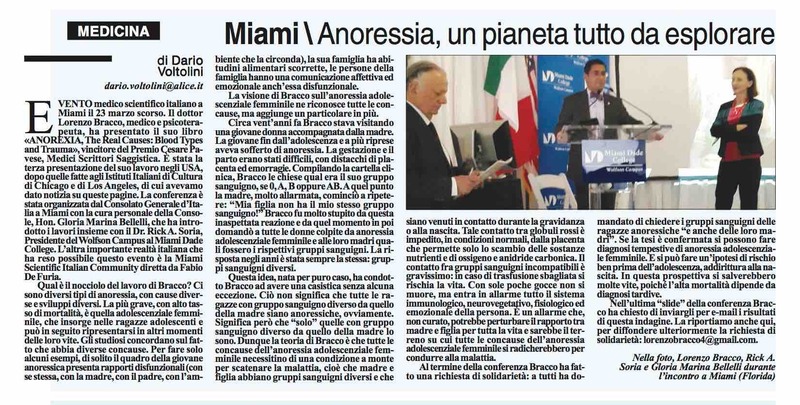 Dr. Lorenzo Bracco, Medical Doctor and Psychotherapist, presented his book “ANOREXIA, The Real Causes: Blood Types and Trauma”, winner of the Premio Cesare Pavese, nonfiction medical writing. 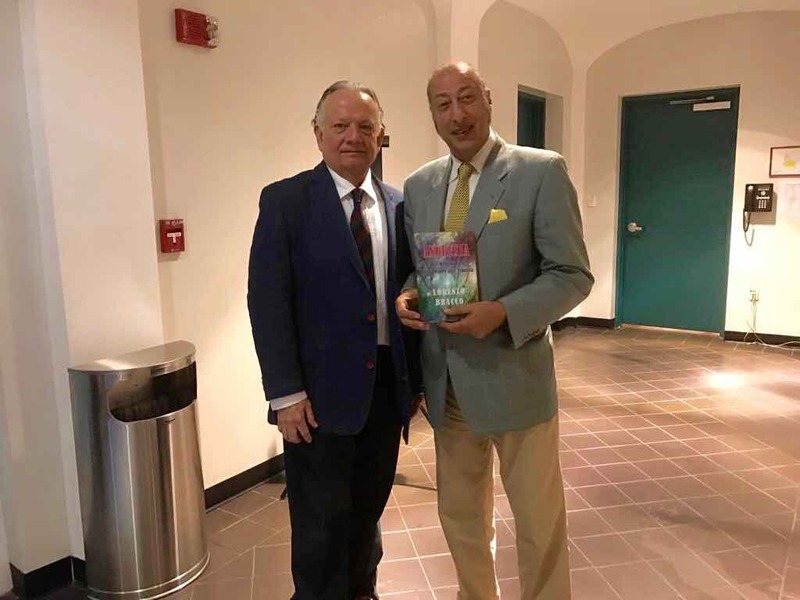 It was the third presentation of his work in the US, after those made in Italian Institutes of Culture in Chicago and Los Angeles, as I have reported in these pages. 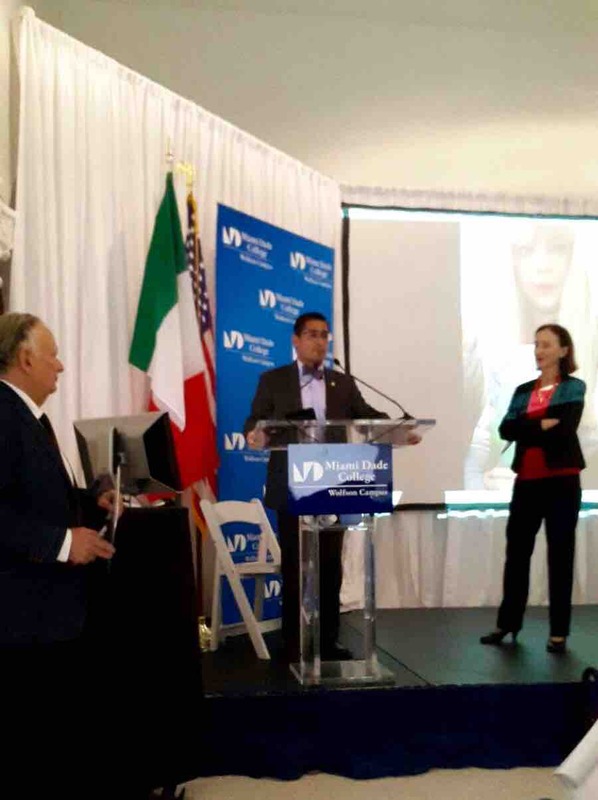 The conference was organized by the Consulate General of Italy in Miami with personal care of the Console, Hon. 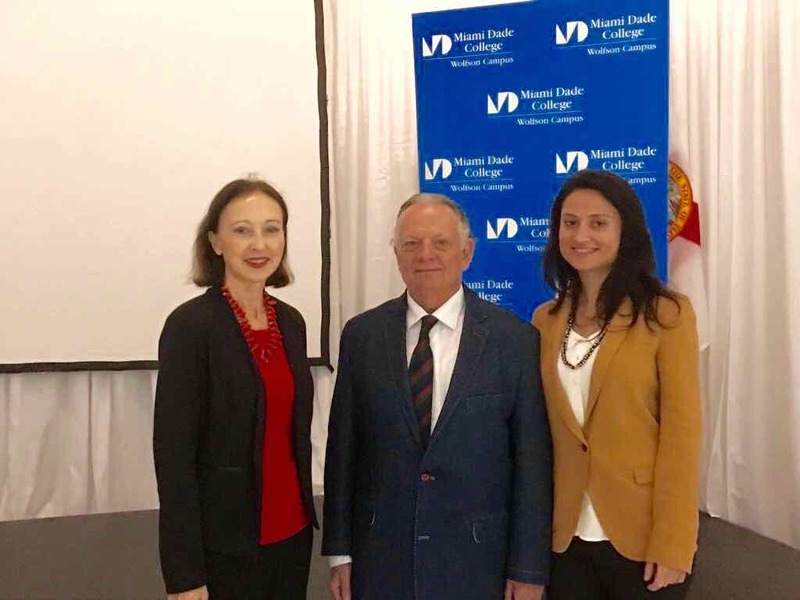 Gloria Marina Bellelli, who introduced the works along with Dr. Rick A. Soria, President of Wolfson Campus at Miami Dade College. 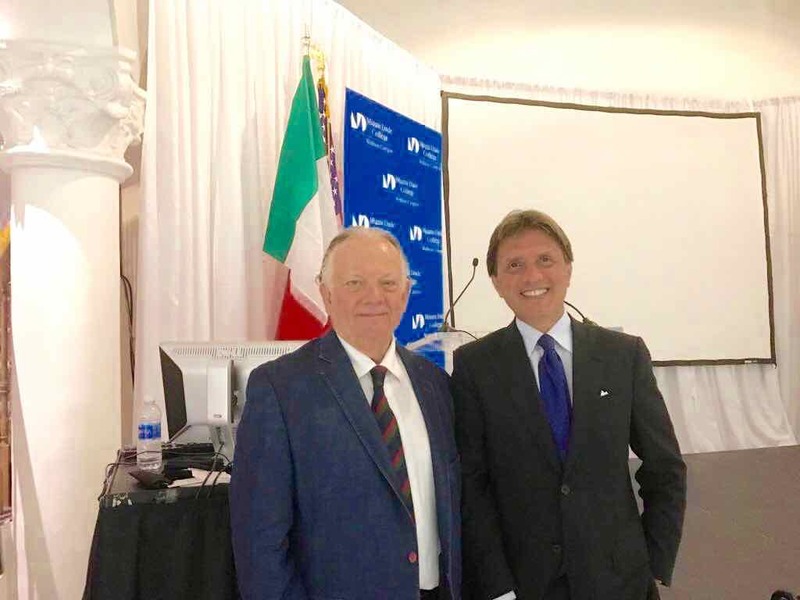 The Miami Italian Scientific Community directed by Fabio De Furia is the other important Italian company that has supported this event. What is the core of Bracco’s work? There are different types of anorexia, with different causes and different developments. The most severe, with high mortality rate, is the “Female adolescent anorexia”, which occurs in adolescent girls and may later reappear at other times of their lives. Researchers agree that it has several causes. Just to give a few examples, a young anorexic girl usually presents dysfunctional relationships (with herself, with her mother, with her father, with the environment that surrounds her), her family has bad eating habits, people in her family have an affective and emotional dysfunctional communication. Dr. Bracco aknowledges all of these causes of the “female adolescent anorexia”, but he adds a special extra. About twenty years ago, Dr. Bracco was visiting a young woman accompanied by her mother. The woman had suffered from anorexia on several occasions since adolescence. Her mother’s pregnancy and her birth had been difficult, with placental detachment and bleeding. While filling out the medical record, Dr. Bracco also asked the girl what her blood type was, 0, A, B or AB. At that point the girl’s mother, very alarmed, began to repeat: “My daughter doesn’t have my same blood type!” Dr. Bracco was very surprised by this unexpected reaction and from that moment on he went on asking all women, affected by female adolescent anorexia, and their mothers what their blood types were. The answer over the years has always been the same: mother and daughter have different blood types. This idea was born by pure chance and it led Dr. Bracco to get always the same data without any exception. This doesn’t mean that all girls with different blood type from their mothers are anorexic, obviously. But it does mean that “only” those with blood type different from the one of their mothers manifest the female adolescent anorexia. Dr. Bracco’s theory is that all the causes of the female adolescent anorexia require an upstream condition to trigger the disease. This condition is: mother and daughter have different blood types and their blood may have come into contact during pregnancy or at birth. Such contact, between red blood cells of the mother and the fetus, is prevented, under normal conditions, by the placenta that only allows the exchange of nutrients and oxygen and carbon dioxide. In the human body the contact between incompatible blood types is very serious: in case of wrong transfusion, the patient risks life. If the contact happens only between few blood drops the person does not die, but an alarm starts and involves the immunological, neurovegetative, physiological and emotional systems of the person. This alarm, untreated, could perturb the relationship between mother and daughter for all their life and would be the ground on which all causes of the female adolescent anorexia take root leading to anorexia. At the end of the conference Dr. Bracco made a request for solidarity: he asked everyone to investigate blood types of anorexic girls and also the ones of their mothers. 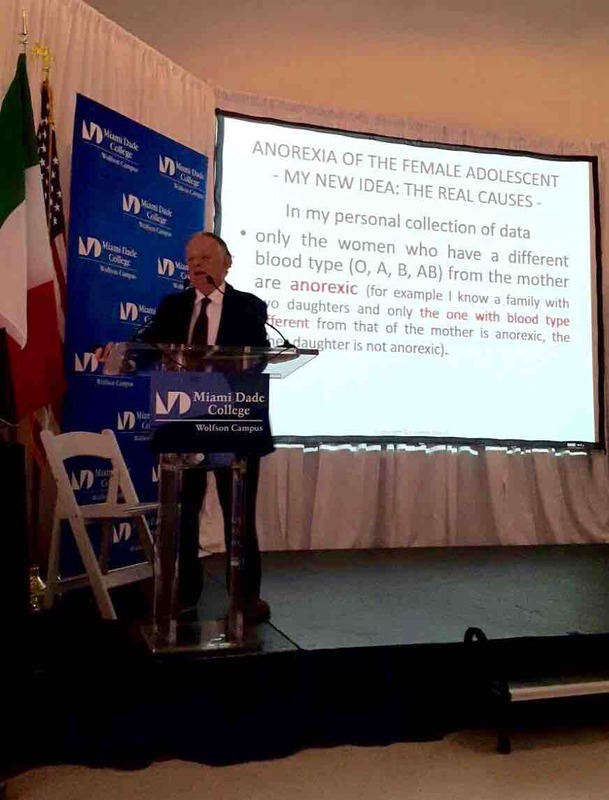 If Dr. Bracco’s theory is confirmed you can make early diagnosis of the female adolescent anorexia. And you can make an hypotesis of risk well before adolescence, even at birth. In this perspective we can save many lives, because the high mortality rate depends on late diagnosis. 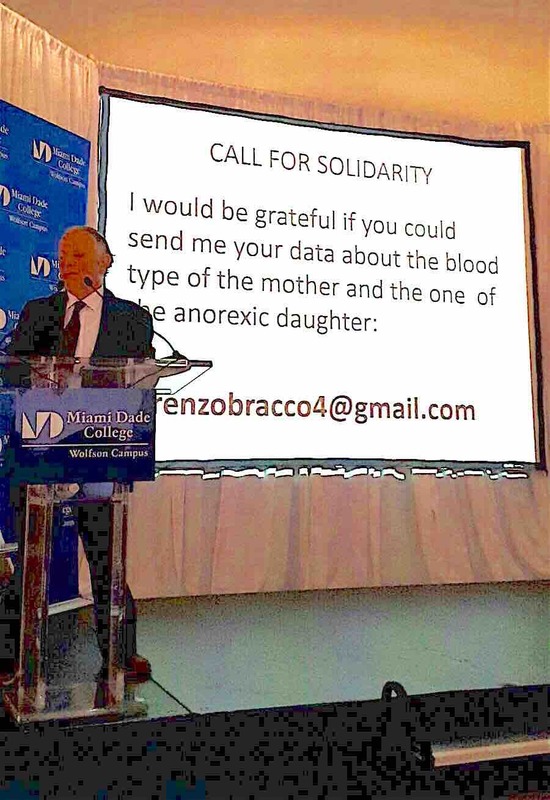 In the last slide of the conference Dr. Bracco asked to send him the data about blood types of anorexic girls and of their mothers by e-mail. I am writing the e-mail address also here, to further spread the request for solidarity: lorenzobracco4@gmail.com.